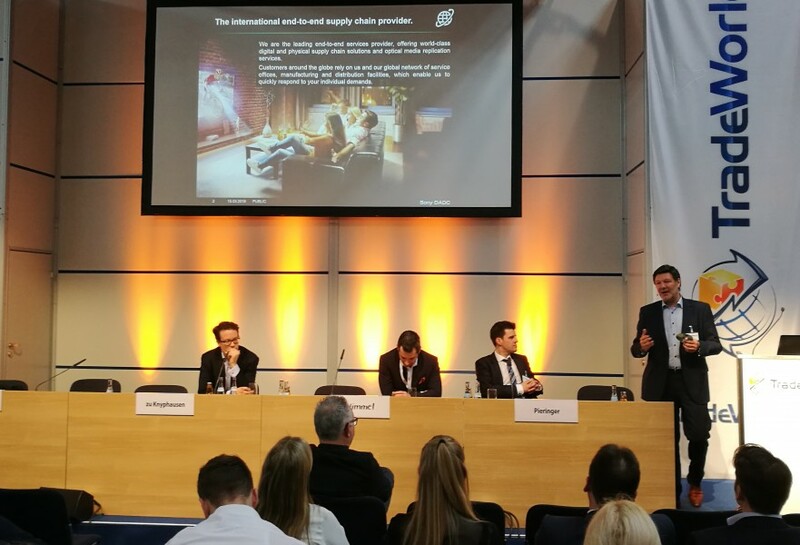 From 13th to 15th March, LogiMAT 2018 took place in Stuttgart. 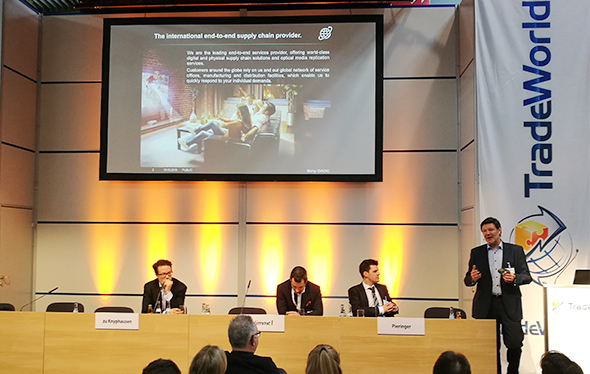 “Intra logistics at first hand – Digital, connected, innovative” was the theme of the 16th international trade fair for intra logistics solutions and process management. 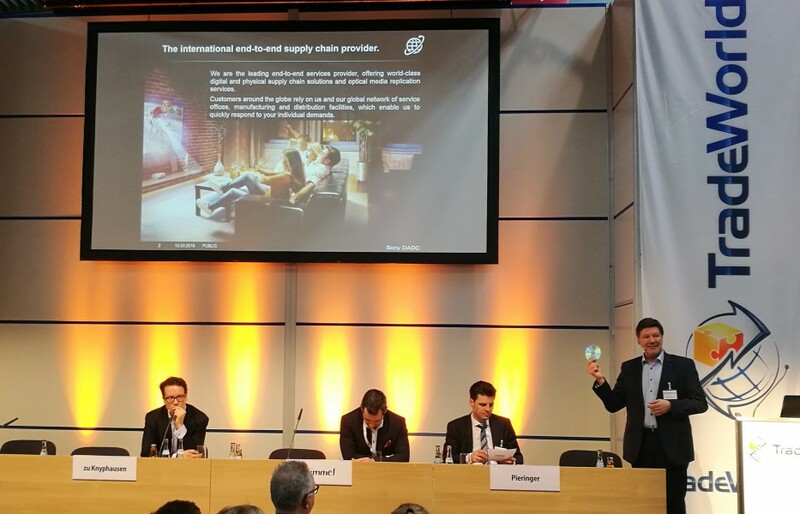 More than 1,500 international exhibitors and 55,300 visitors emphasized the significance of LogiMAT as one of the leading trade fairs for intra logistics. 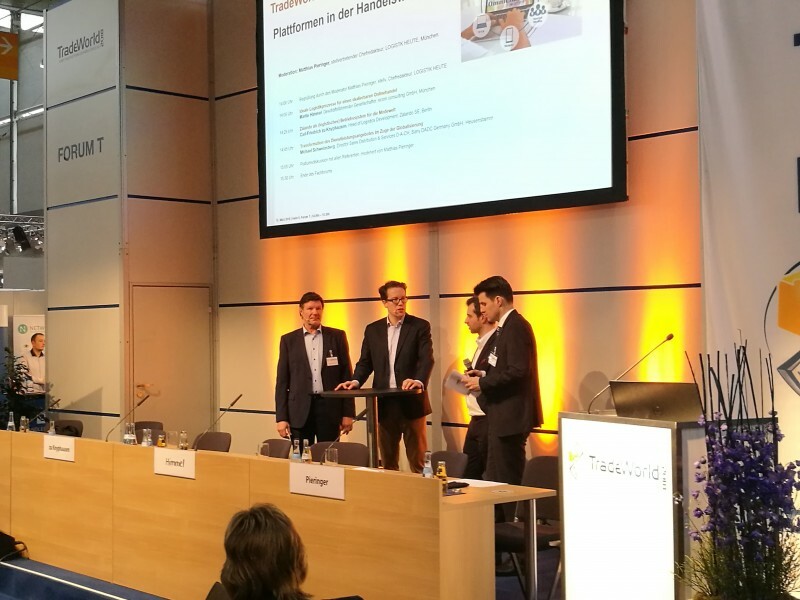 In the course of the fair, the TradeWorld 2018 took place, a competence platform for e-commerce and omnichannel, focusing on processes and their optimization. 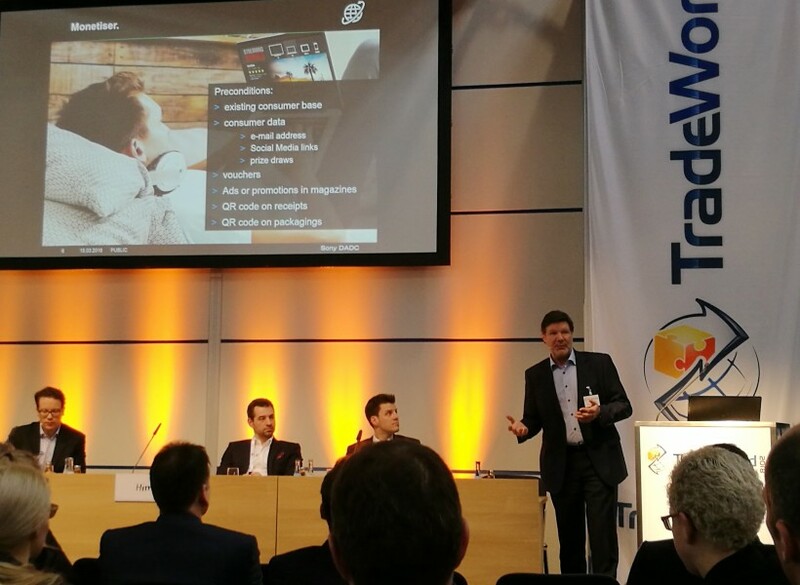 Key note speakers presented their approaches to Retail 4.0. 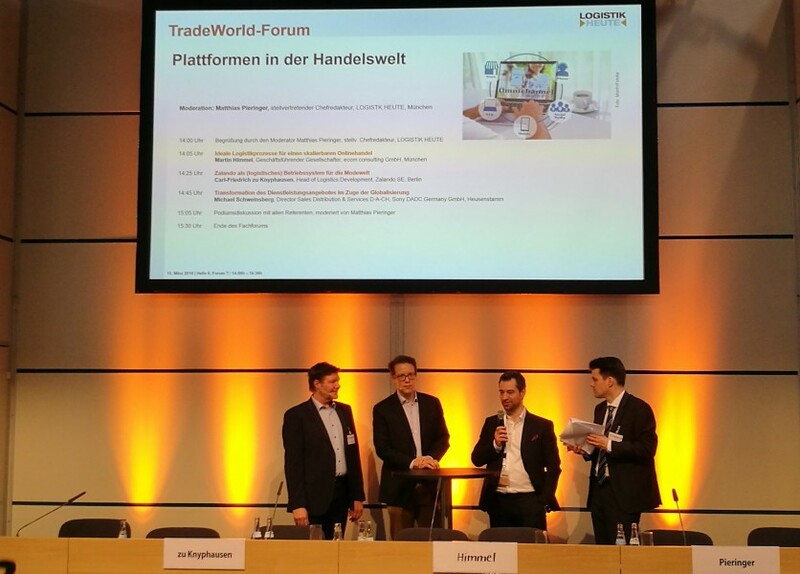 Besides our colleague Michael Schweinsberg, also Carl-Friedrich zu Knyphausen (Zalando) and Martin Himmel (Ecom Consulting) were invited to talk about trading platforms. 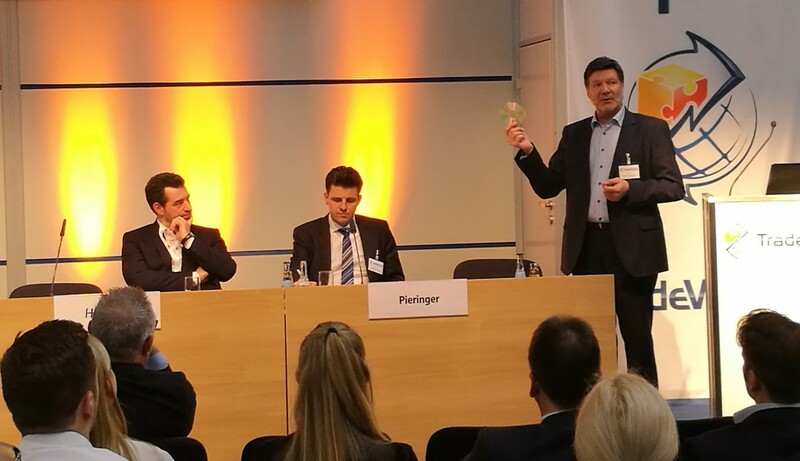 Michael Schweinsberg highlighted the specific value of our D2C platform Monetiser. He focused on how Monetiser helps generating new clients and revenues by integrating audio or video content as a bonus on top for buying a product or article. Especially the fact that Sony DADC offers its clients the full range from getting the digital rights for a particular content, through providing customer service and cash collection as well as all other arrangements around Monetiser, caught the audience’s attention. The presentations were followed by a round table discussion to answer upcoming questions. 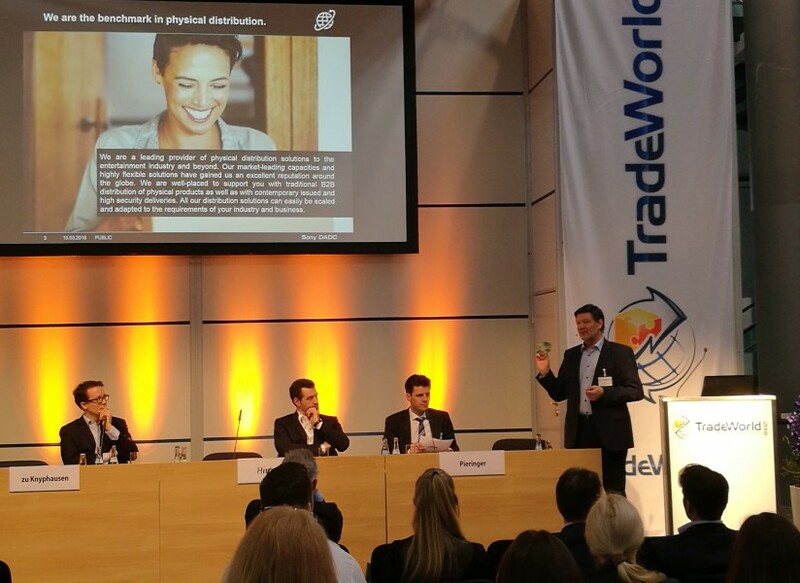 Our participation at the TradeWorld 2018 will soon be followed by another exciting event. 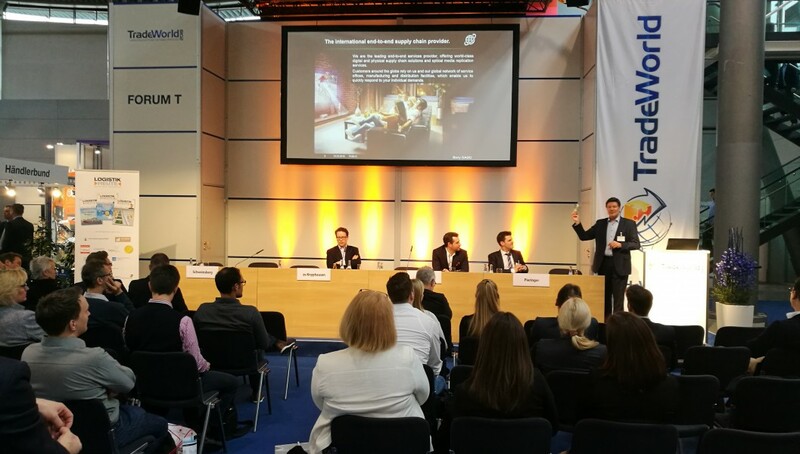 On 17th and 18th May 2018, an expert forum about “E-commerce logistics” will take place in Niedernberg, Germany. Sony DADC will again be joining with a keynote presentation, besides experts from Mymuesli, 1-2-3.tv and more.